With that holiday (that I won’t name.. because I’m such a Scrooge) vastly approaching, I find myself in stores like Toys R Us praying that lightening will strike me before I have to actually stand in that 50 person line to purchase my cart full of items. This is after I tripped the lady in aisle 3 over the last Hug Me Elmo on the shelf. Because Dammit… that’s what I braved the freezing rain and a 16 passenger mini-van that cut my off in the parking lot for. Some random guy behind me is breathing down my neck and I thank the lord I took my “Don’t Choke a Bro” meds this morning because his closeness is pushing it. I’m forced to cut him with my side eye, thinking he’ll take a hint. He apologizes, then tells me it’s because I smell.. But not bad.. no..no.. not bad. He tells me I smell like cinnamon.. I tell him that means he’s to close to me. He laughs, I give him a dead pan stare.. The line moves..the guy slides closer.. I’m now feeling a bit schizophrenic . Nick ask me the question again..
My hands start to twitch.. The line moves up..Nick is now standing beside me..
At this point, I decide to be nice and tell him how I spilled cinnamon everywhere before I left my house and somehow it got in my hair.. He then tells me I just smell so wonderful.. I then tell him that’s weird to say to a stranger while stand in line at Toys R Us..
I’m never going back to Toys R Us…. These are not quite a biscuit…not quite a scone.. so they like to be known as Biscones..
Light, fluffy, buttery and now gingerbready biscones. Adapted from these babies.. There is a bakery in Savannah called Back in the Day Bakery.. they also have a cookbook from which I adapted this recipe.. Everything they make is amazing.. so go there eat biscones and red velvet cake.. and look out for strange guys trying to smell your hair.. In a large bowl, combine the flours, sugar, baking powder, salt, ginger, cinnamon, cloves, and nutmeg. Whisk until completely incorporated. 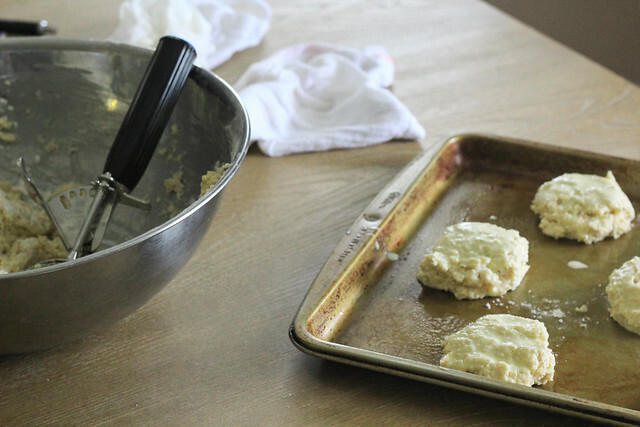 Cut butter into flour mixture using a pastry blended (or fork). Gradually pour in buttermilk and gently mix the ingredients until the dough is soft and there are no bits of flour in the bottom of the bowl. 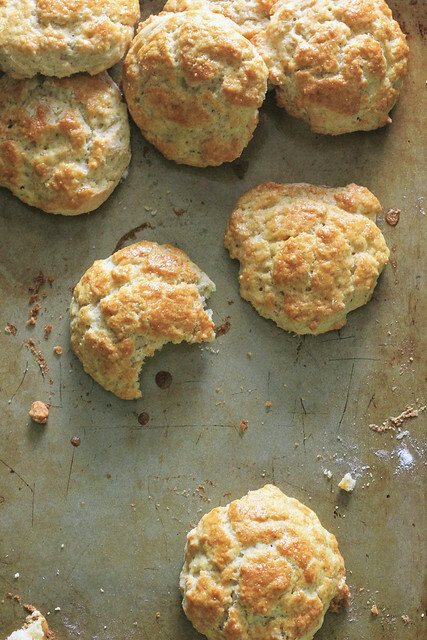 You will see lumps of butter in the dough; this is good…it will make your biscones light and flaky. Dough will be slightly sticky. 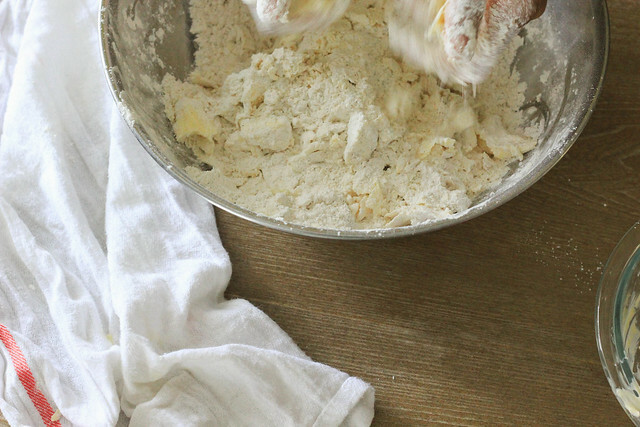 Using your hand gently pat down the dough and dust lightly with flour. With a large ice scoop, scoop mounds of dough into prepared baking sheet, arranging them about 1 inch apart so the biscones will have room to rise. 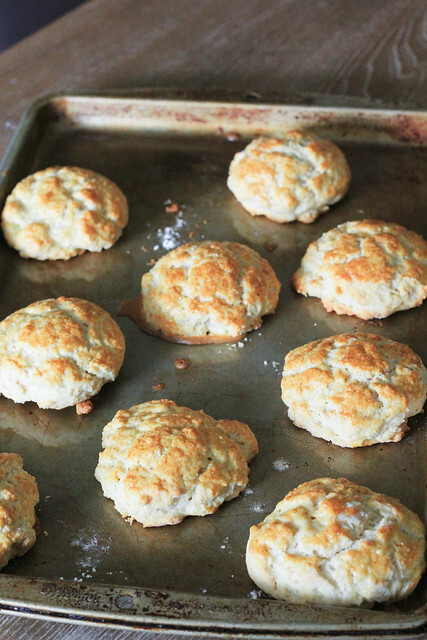 Brush the tops of each biscone with egg wash and sprinkle with demerara or turbinado sugar. Bake for 20 -25 minutes, rotating pan halfway through to ensure even baking.. Until the biscones are lightly golden. Serve warm..